Two new animated series are inserting the LGBTQ agenda into children’s programming, including a new animated series set in an elementary school features baby drag queens voiced by RuPaul’s Drag Race characters. 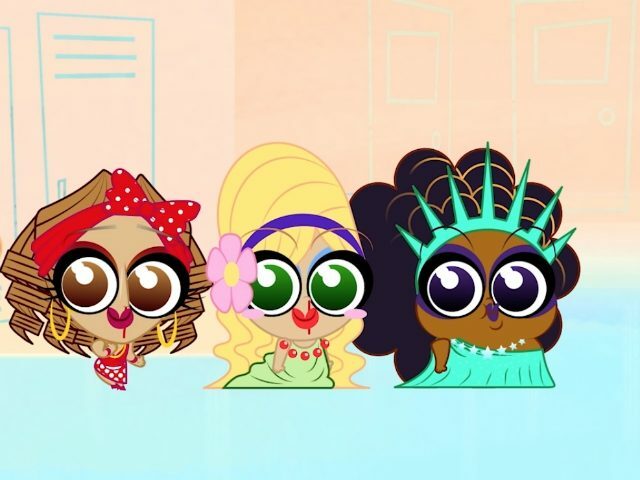 The cartoon features the cast of RuPaul’s Drag Race: Del Rio (Dina Saur), Adore Delano (Roxy Moron), Latrice Royale (Lady Liber T), Valentina (Arugula) and Detox (Donatella Mewhattodoo). The school mascot (Corny the Unicorn) is voiced by RuPaul. Meet Dina Saur, a colorful drag tot whose aesthetic is inspired by dinosaurs; Roxy Moron, innocent, lovable and totally gullible; Arugala, a Puerto Rican provocateur with a taste for trouble; and Lady Liber “T,” an African American queen with a talent for putting haters in their place! With guidance from school mascot Corny the Unicorn, each episode features a different dragtastic adventure. From a visit to a wig farm to a journey to an alternate drag universe, school has never been so fierce. According to Movie Guide – an online family programming guide – parents should listen up. “Parents need to be on top of what their children may be watching, because the days of innocent Saturday morning cartoons is officially over (Honestly, it’s been over for a while),” the online guide warns. Drag Tots joins Netflix’s upcoming Super Drags superhero animated series (trailer below) – one that has led to a firestorm of controversy and a Citizen Go petition created by the Christian Film and Television Commission, reports Business Insider.